10:00 o’clock Deperture from the Hotel: with 1 bus for 45 persons and 1 VITO for the couple. 10:30 – 12:30 o’cl ock: Trip to the ruin Duden Waterfall. 13:00 – 14:00 o’clock: Lunch at Alara Restaurant at Ataturk Park in Antalya. 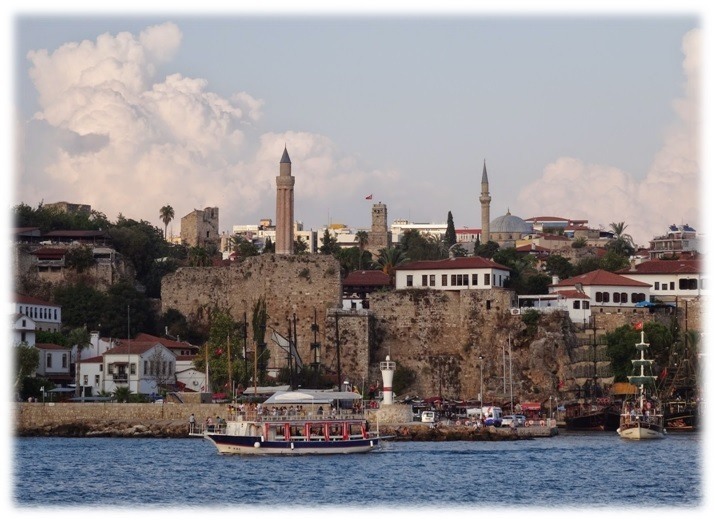 14:00 -17:00 o’clock: Trip in the historical Kaleici (old town) harbour and yacht tour with 2 Gulet yachts. 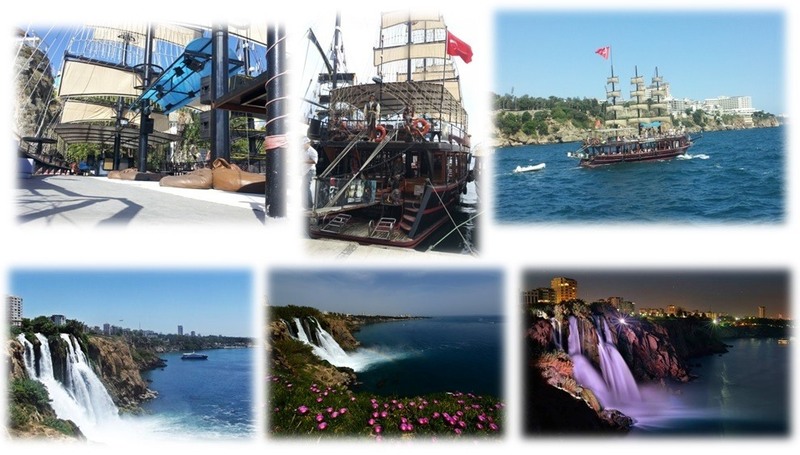 Will be gone to the waterfall where Lara Duden Waterfall falls with pirate gulet yacht and will be returned. Unlimited local alcoholic and non-alcoholic beverages, cips, cookies, appetizers will be served pn the bistro tables at the yacht. 17:15 – 18:30 o’clock: Trip to Antalya Aquarium which has the longest / biggest tunnel in the world. English speaking consultant and authorized for the trip program. 1 exclusive professional photographers take 350 to 750 pictures in JPEG format and a videographer will record HD video. (Original CD/DVD will be delivered.) Some special photographs will be added to the wedding story clip.